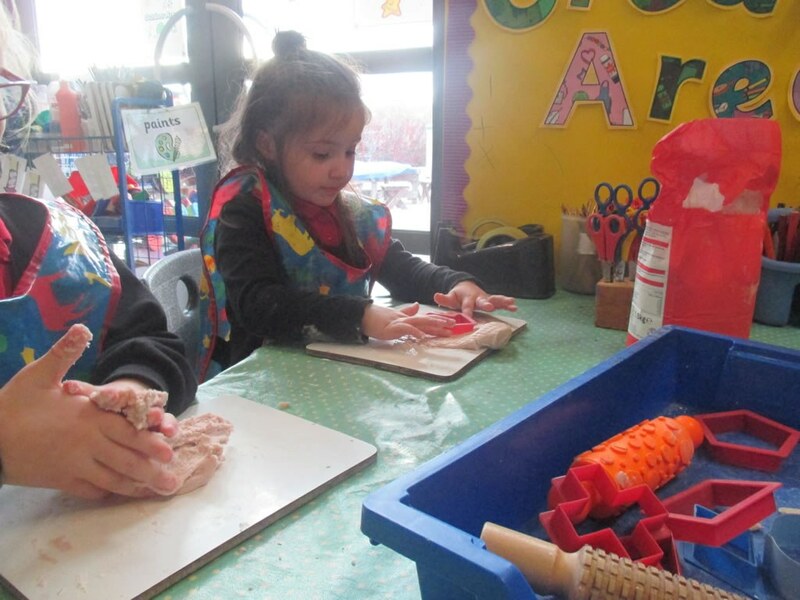 We have made a great start to the new term. 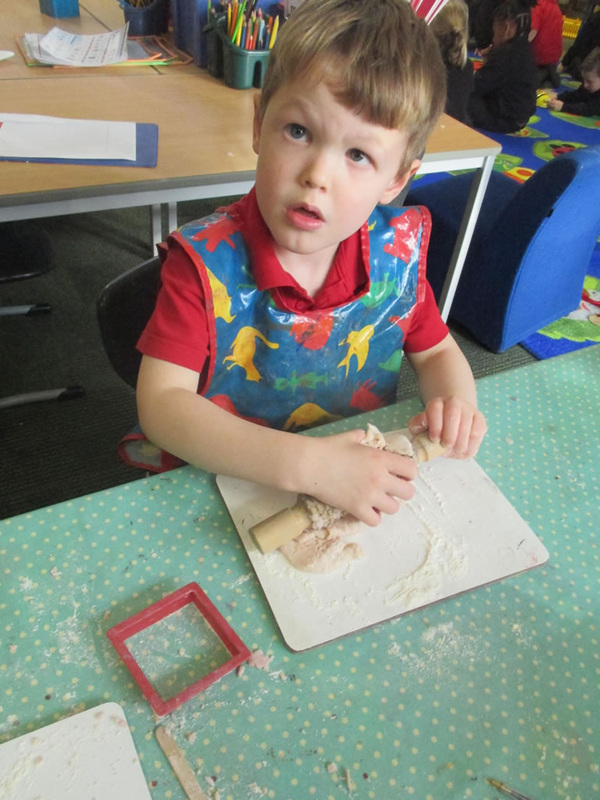 This week we have been making firework pictures from chalk and small parts. 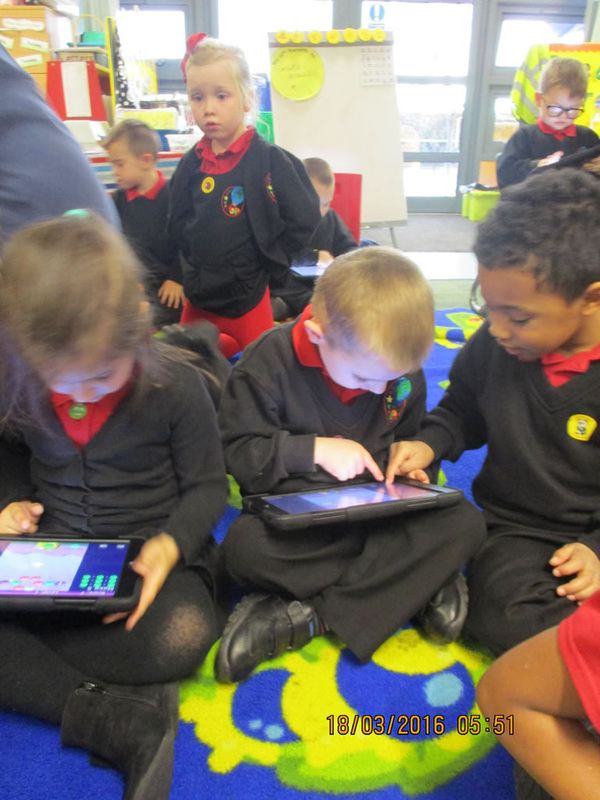 We have also tried to write some sounds that the fireworks make. 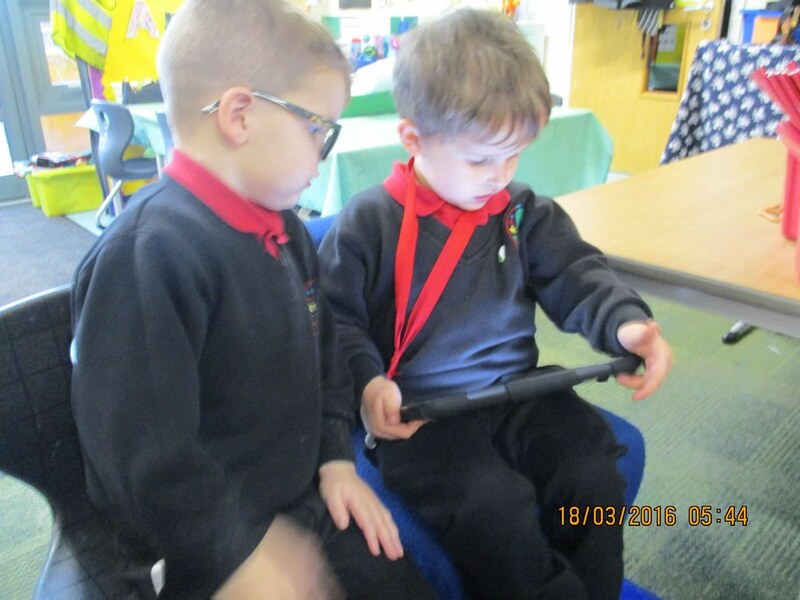 We have listened to the story Threadbear and talked about what we liked in the story. In the gallery below you can see some photos of our firework pictures. 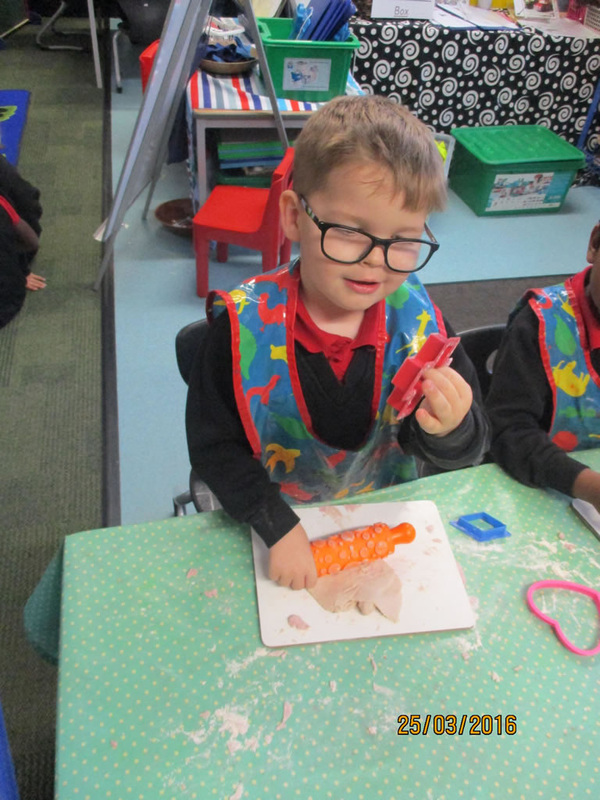 This week we have been learning to use our senses to taste, smell and touch objects and talk about what we see and hear in the classroom. We loved the tasting! 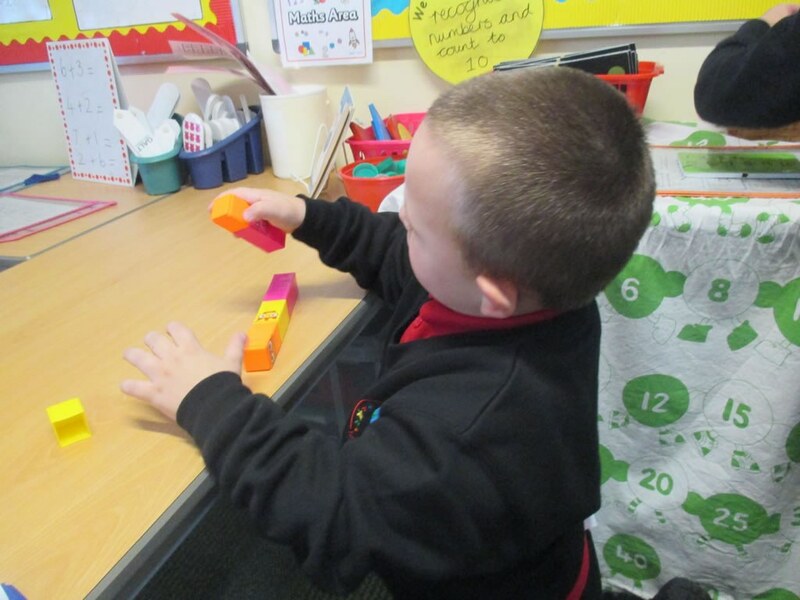 We have been learning to print to make pictures of toys and add using a tens frame. We have begun to retell the story of Threadbear and have described him using our sounds to write words. 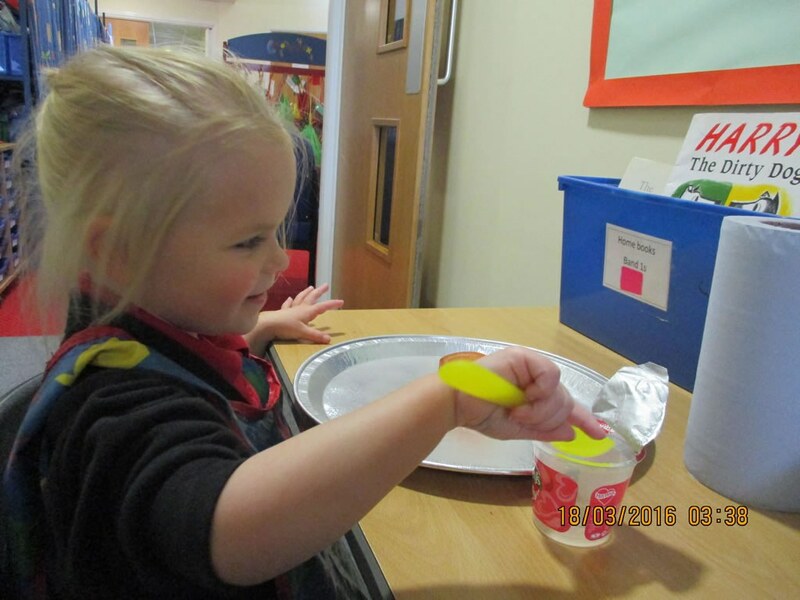 The week has been finished off with our CIN day where we came to school in our pjs and had fun having spots painted on our faces as well as making Pudsey masks and pictures. We have now finished Phase 2 sounds and will start Phase 3 next week. 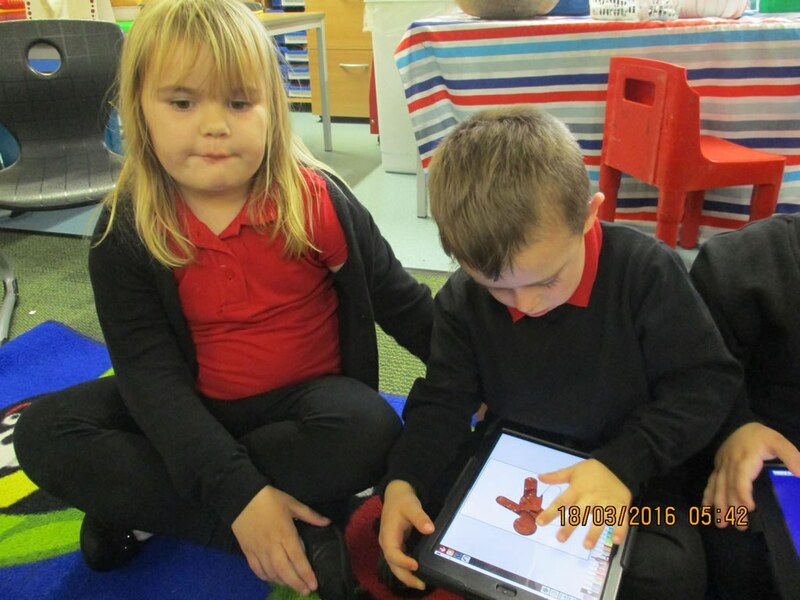 This week we have continued to look at the Threadbear story and have planned our Threadbear story to write next week. We have tried to draw Threadbear by ourselves and order different size teddy bears. 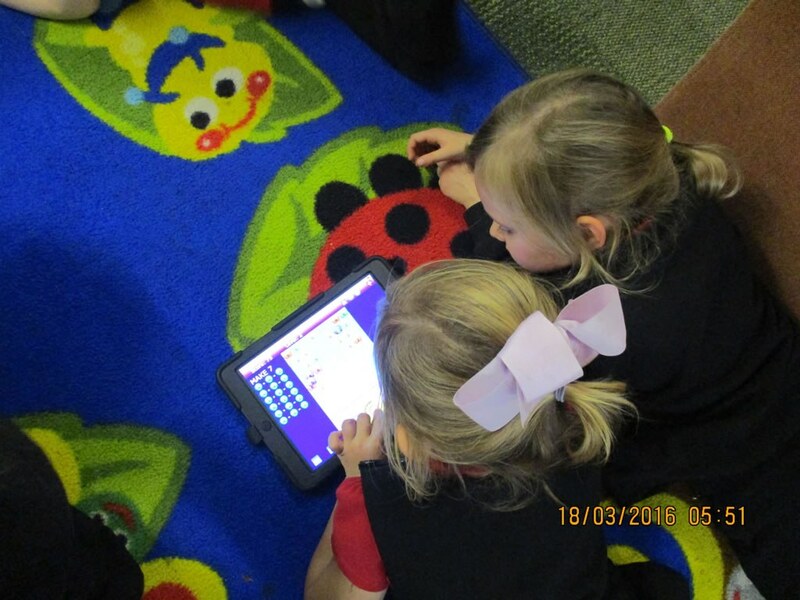 We have also been exploring the Purple Mash app on the I-pads and continuing to solve add number sentences using a 10’s frame. 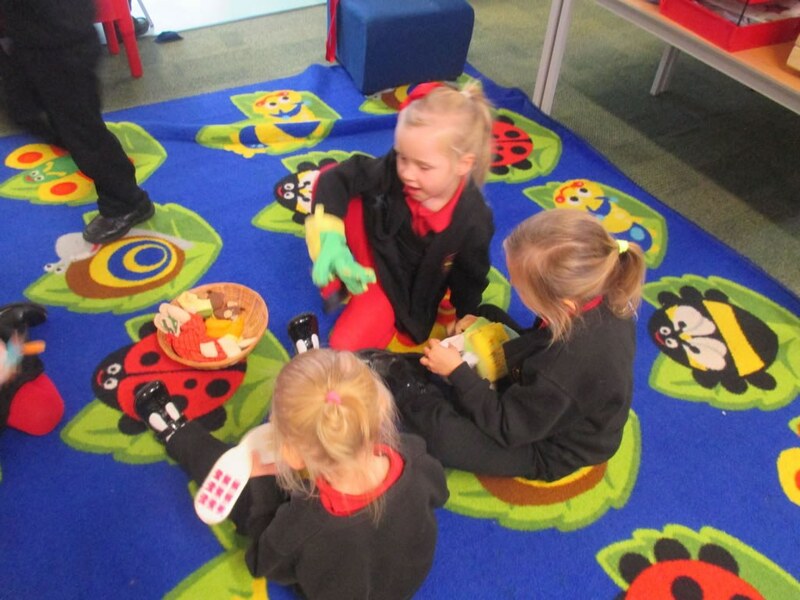 Here are some photos of our learning this week. 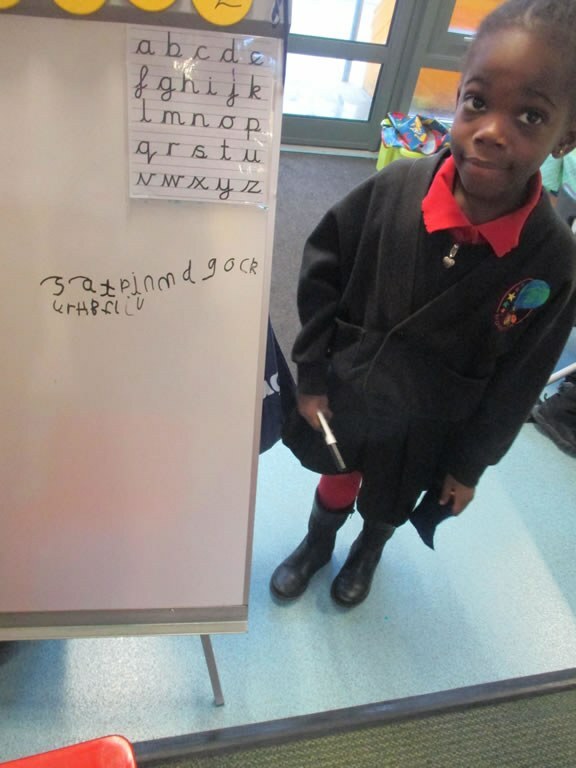 This week we have been writing the story of Threadbear trying to use our sounds to write words and sentences. 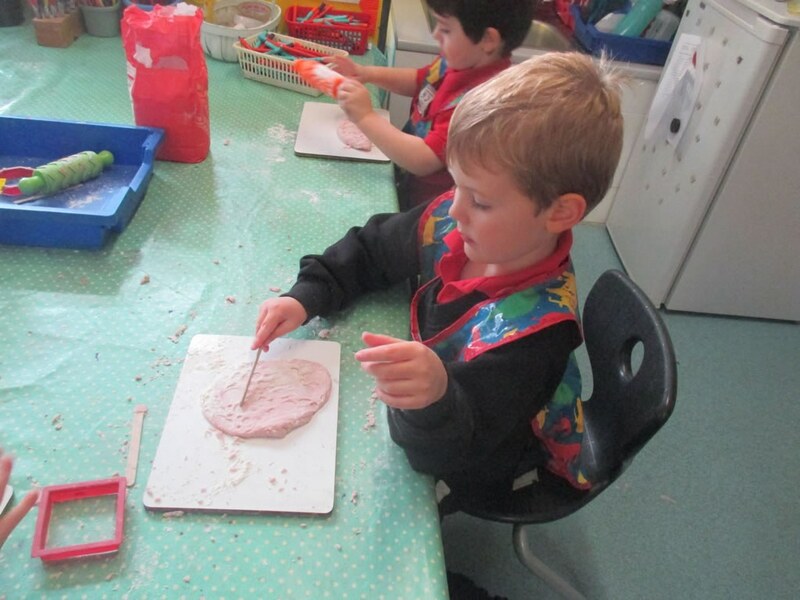 In Maths we have been looking at shape and patterns and have been using playdough to cut out shapes. 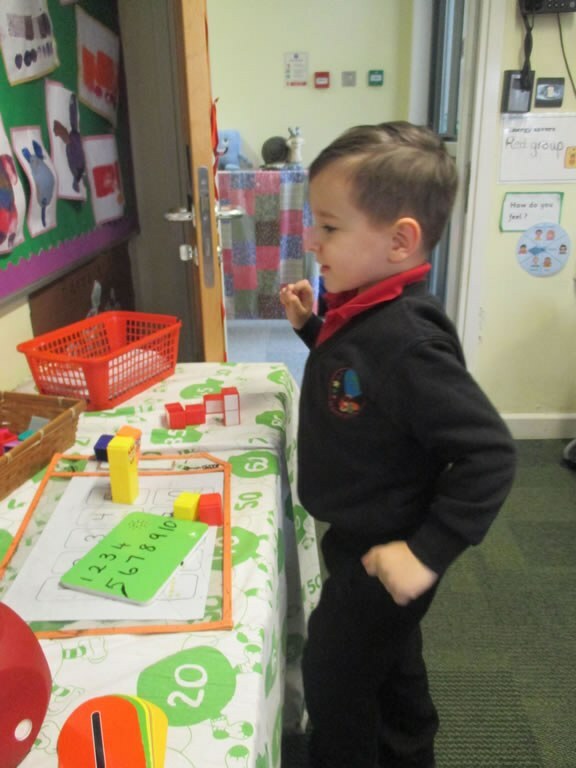 We have had great fun playing with the beebots giving them commands to move and we have begun to practise our Nativity. 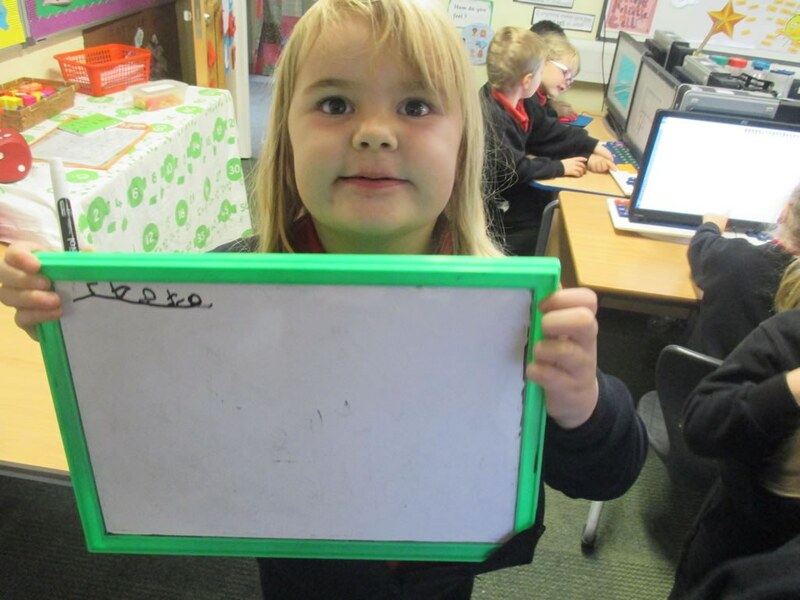 The sounds we have learnt this week are y, z, zz and qu.